The Origin team recently returned from Toronto and the Community Ethereum Development Conference (EDCON). The theme of the conference was “Never Forget Why You Started” and it was a refreshing callback to the motivation for why Ethereum was created. So often, conferences can be solely about making deals or marketing. We had high expectations for EDCON, and they were surpassed in almost every way. We are more excited than ever to be apart of the Ethereum developer community and Dapp ecosystem. There were many fun moments as well and the Origin team had a blast. Casper the Friendly Finality Gadget (FFG), the upcoming Proof-of-Stake (PoS) overlay on the existing Proof-of-Work (PoW) Ethereum blockchain that adds finality to validated blocks, increasing security and reducing the centralization and energy inefficiency of PoW mining. In a Proof-of-Stake system, nodes stake ether and vote in a coordinated fashion, earning rewards for being online and coming to consensus. Malicious nodes are “slashed” and lose part of their stake. There are also mechanism designs to discourage centralization of staking pools. This is coming very soon. CBC Casper or “Correct-by-Construction”, a formal process with proofs to drive PoS protocol and mechanism design to achieve certain cryptoeconomic outcomes. Eventually the Ethereum blockchain may switch to a totally PoS consensus algorithm based on this research. Sharding, a “layer 1” protocol change that dramatically increases security and performance of the Ethereum blockchain. This is achieved by having only a subset of nodes validate a subset of transactions instead of having every node validate every transaction. This is an extremely difficult problem, and the design is very complex. Here is a great short explainer. This may not be in production for quite a while. Plasma, a “layer 2” framework that involves an autonomous smart contract that creates “sidechains” called plasma chains that can process large numbers of transactions before being finally settled on the Ethereum blockchain. Each of these plasma chains can have child plasma chains and so on. This tree of chains can be condensed through MapReduce and encoded in a hash on the Ethereum root chain. These plasma chains can also choose their own consensus algorithms, such as Proof-of-Authority (PoA). Plasma Cash, an exciting new idea where deposits are represented by non-fungible tokens, was frequently featured on T-Shirts at EDCON that stated “Plasma Cash is Plasma”. Raiden, a “layer 2” solution that uses network state channels for off-chain payments that are nearly instant and free. These state channels essentially act like a ledger of IOUs that are not settled on the blockchain until a certain determined time. Ether and tokens are not actually being sent back and forth so there are no confirmation times or fees associated until the final account of IOUs is settled on the blockchain. TrueBit, a “layer 2" verification solution that allows for heavy computation to be done off-chain in a decentralized and secure way. Computation using smart contracts on the blockchain can be slow and expensive. TrueBit allows for “Task Givers” to post a request for computation to be done with a specified reward. Solvers can submit a proposed solution with a deposit and validators can check and challenge their work. If there is a dispute, the solution can be checked on a smart contract on the blockchain and whoever is correct would be rewarded appropriately. 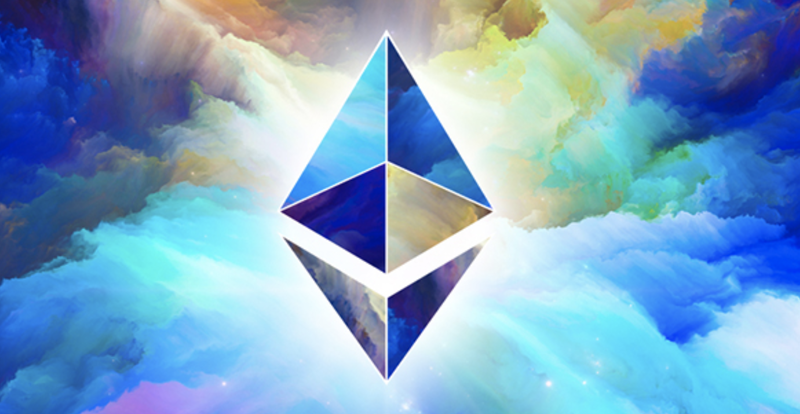 It is clear to us from the depth of thinking and cross-disciplinary research that has gone into these proposals means that Ethereum is in very good hands. The Ethereum community is building a truly decentralized, scalable, and secure blockchain that is meant to deal with state-level malicious actors and extreme cryptoeconomic edge cases. The blockchain “trilemma” of security, scalability, and decentralization was often brought up. Throughput is a concern but not the only concern, and we are thankful for that. Many local community organizers for various Ethereum meet ups and associations throughout the world were in attendance. Community was a huge focus for the conference and each region had a chance to update members in attendance about the good work being done around the world. Here at Origin, we are making a renewed commitment to increase our participation in Ethereum community meetups and in on online discussions hosted by EthResearch, Reddit, GitHub, and other forums. We are extremely proud of our open source development community of over 40 active contributors but want to increase our engagement with the wider Ethereum developer community. A huge thanks to all of the event organizers of EDCON, the Ethereum Foundation, and each of the speakers that presented. It was a fantastic event and we’re looking forward to participating again next year. While the Origin team met many new people at EDCON, we also saw many familiar faces and met some people for the first time in person. We were very happy to catch up with the OmiseGo and Kyber teams as well as our friends at ConsenSys, Coinbase, and Quantstamp. We also took the chance to update our investors in person about the progress we have made with hiring and development. The Origin team spent valuable time with Jehan Chu of Kenectic Capital, Jason Fang from Sora Ventures, members of WhalePod, and many other key players in the community. The entire Origin Protocol team, including our newest hire, Paypal founding engineer Yu Pan, will be in attendance at Blockchain Week NYC. Please reach out to Andrew Hyde at andrew@originprotocol.com to coordinate in-person meetings with members of our team. If you’re interested in what we are building at Origin, please reach out. We’re eager to talk to you.